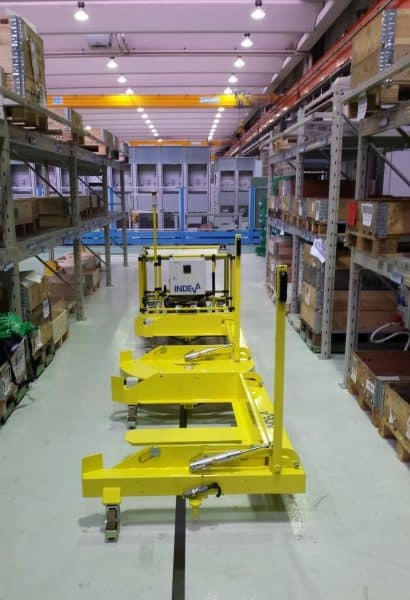 In order to satisfy the great variety of requests from our customers with large size production sites, e.g. 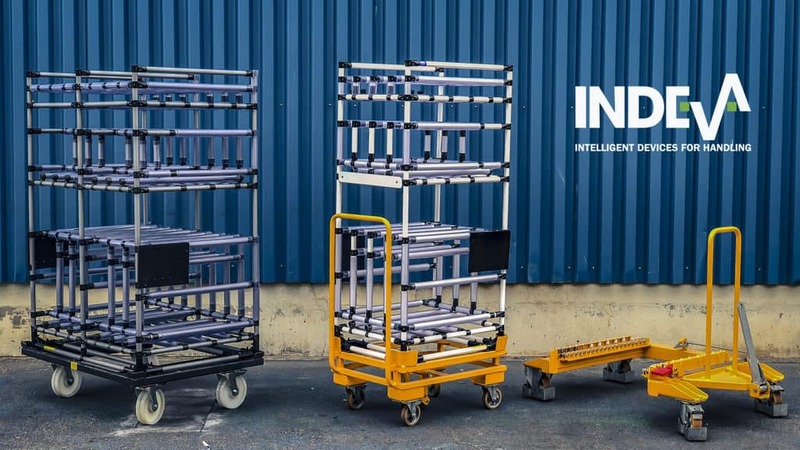 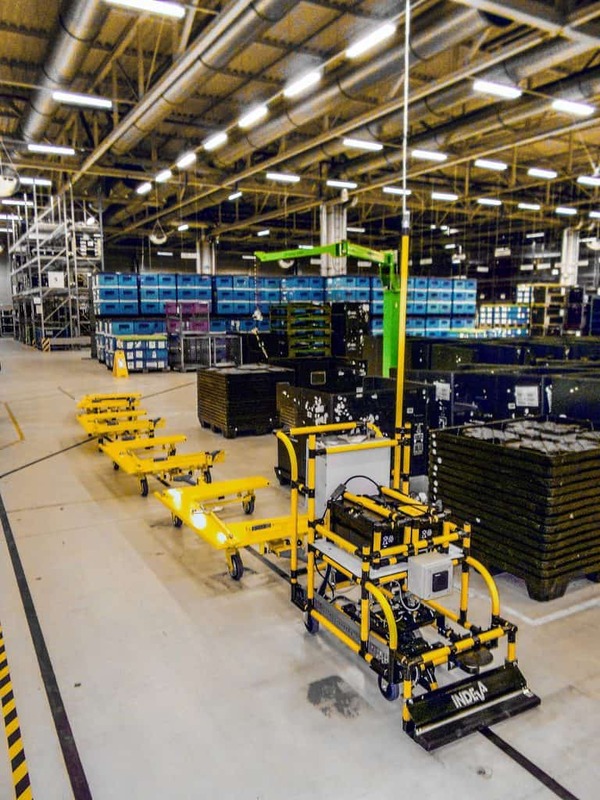 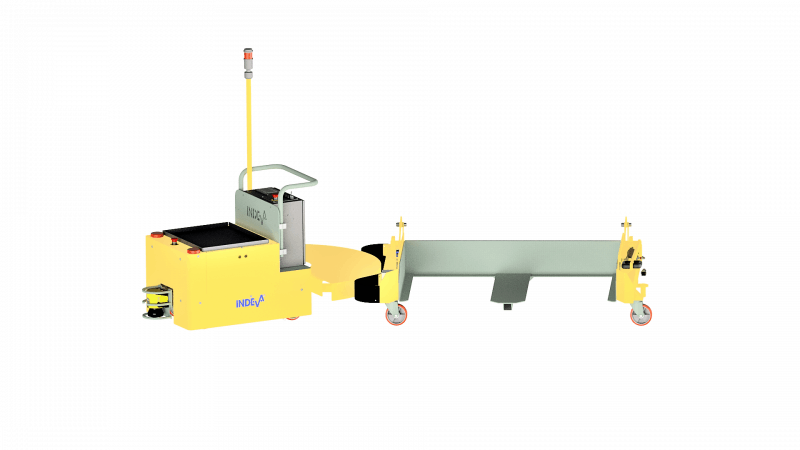 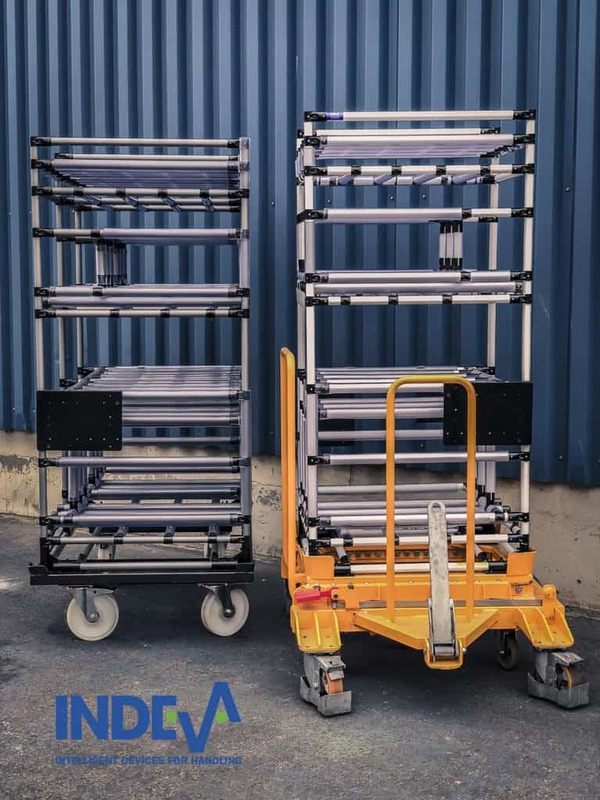 in the automotive, aerospace, fashion, mechanics, etc.. industry fields, we can provide a wide range of intralogistics systems for carrying all types of trolleys in an efficient and safe way. 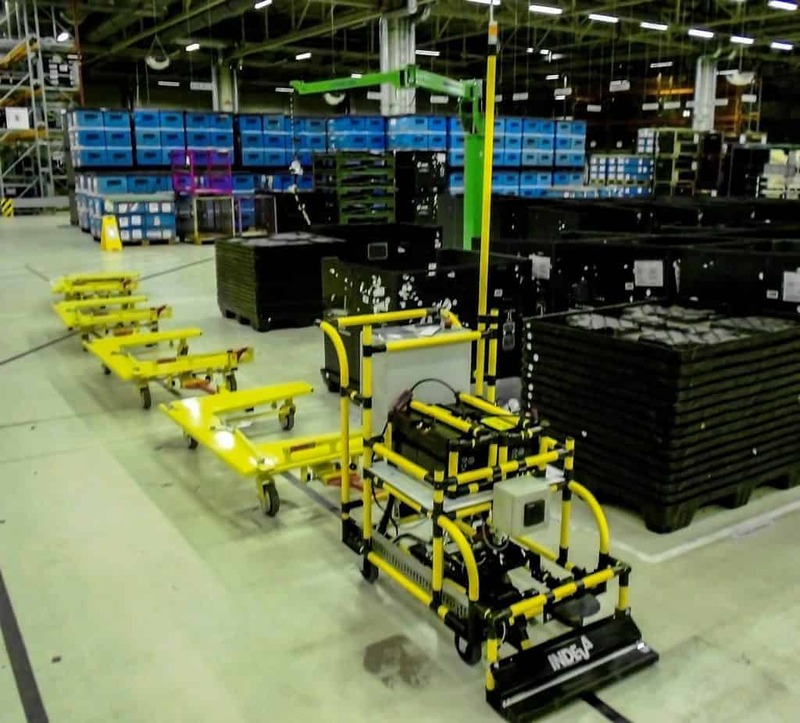 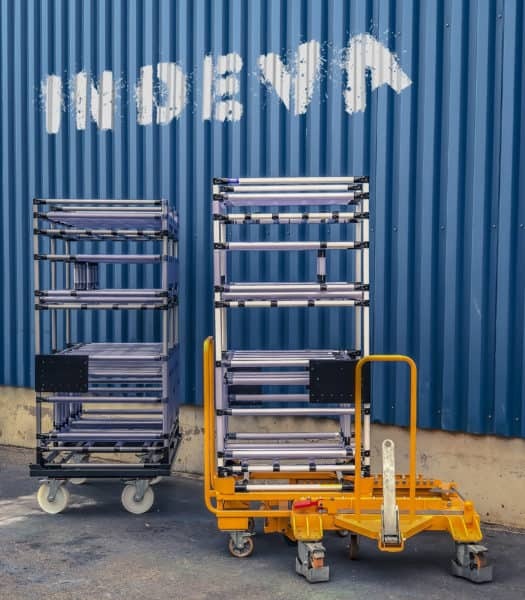 These Intralogistics sytems can be pulled by an INDEVA® TUGGER AGV or by any other AGV in your shopfloor. 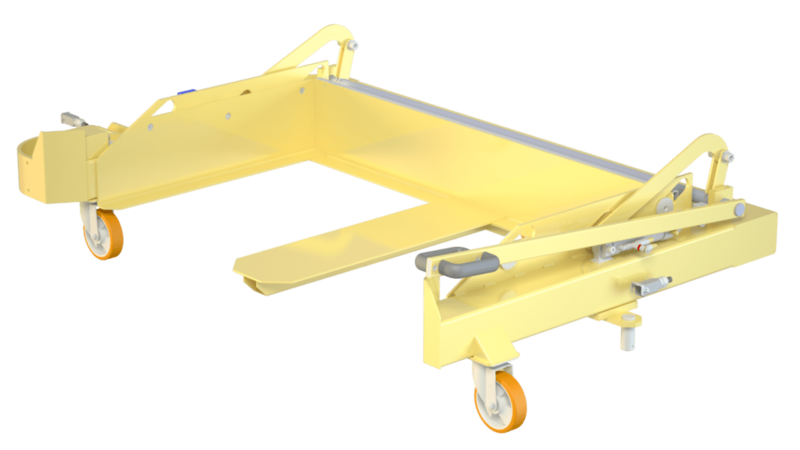 The “E” carts are perfect to move different types of loads without special adjustments. 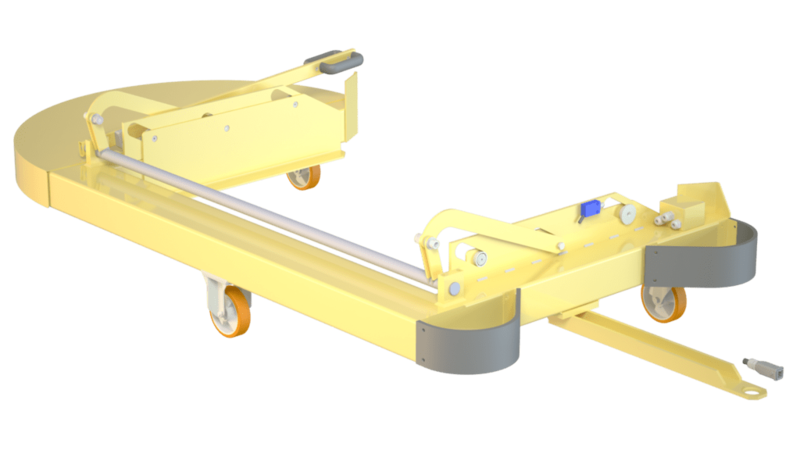 It can transport two trolleys at the same time or a single big trolley (about max 1200 x 800 mm). 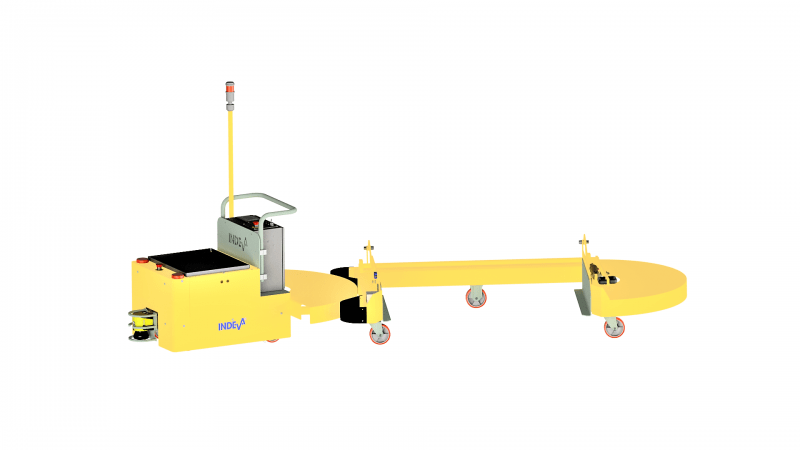 The “C” carts allows quick, ergonomic and safe exchange of containers on production lines. It could be provided with max dimension 1600 x 1200 mm. 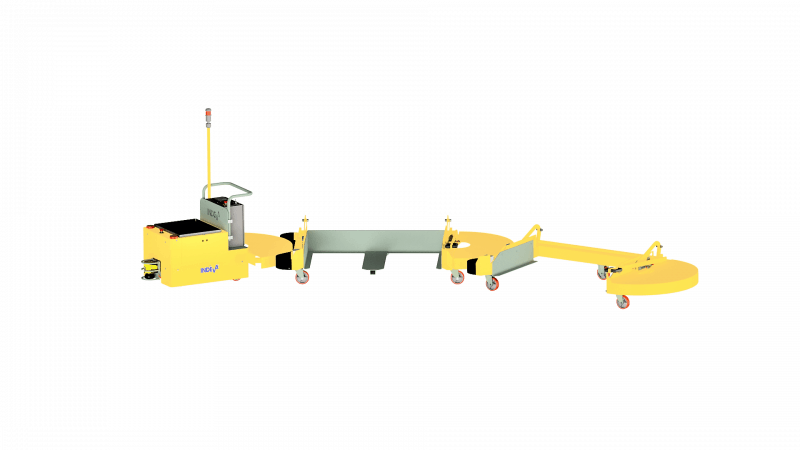 Carts may be composed and oriented as a train. 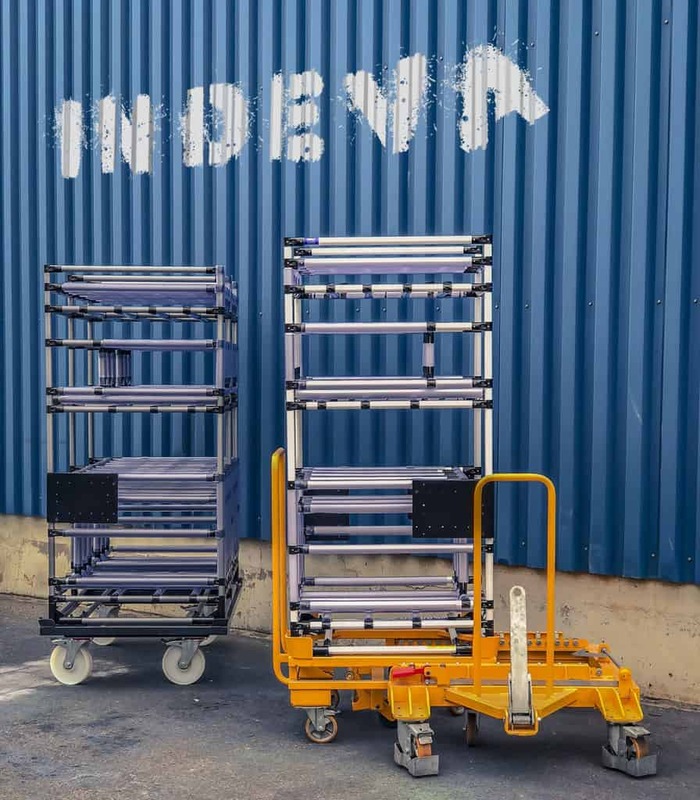 With these compositions you can use your carts to service your production line. 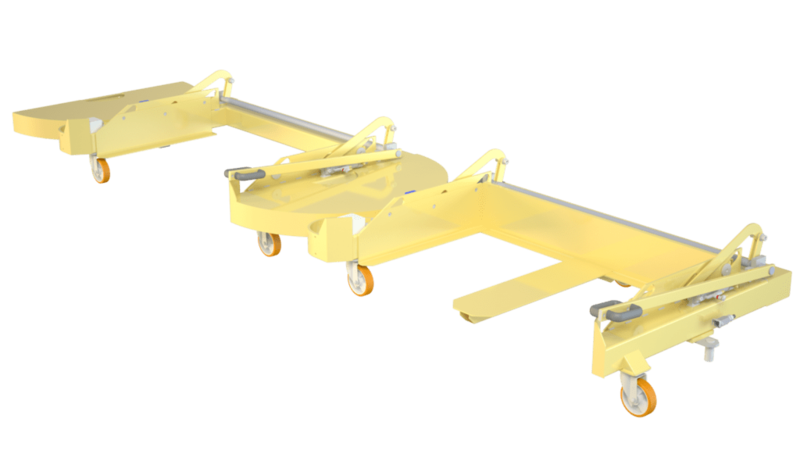 Other configurations on request (“V” carts, “H” turntables and custom trolleys).